We can have no magic carpet to actually transport us to that dream escape of ours, but look closely… isn’t that marvellous rug under your feet is magical beyond belief? If we care to observe minutely we will find plenty of magic unfolding all around us – the budding carnation under the bedroom window, moonlight deluding the terrace with its shimmering glow and so on. Out of all handmade creations decorating our homes even today, rugs are certainly the oldest. It can hardly be considered a mere decorative item, though it serves that purpose gloriously. Depending on the climate, availability of raw material, skills and tastes rugs can be made of silk, wool, rice straw, special type of grass, choir and cotton. But everywhere they serve the same purpose – providing comfort to our feet in very cold temperature and hot, making the floor slip free, preserving it and generating acoustics benefits as well. Decorating a space or refurbishing it almost always involves investing in fresh carpeting for the floors. But how do we choose that perfect rug for us? Well, here is a brief guide to that. Are you planning to buy rugs for your home, shop or office space? If used in home then for which room? 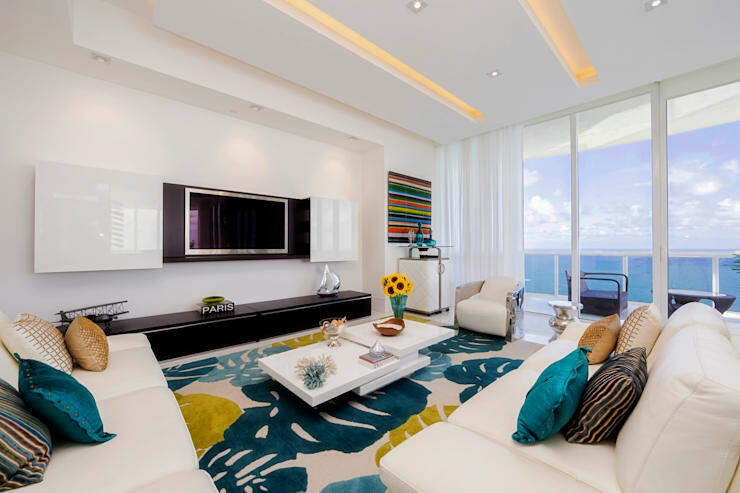 Do you plan to have wall to wall carpeting or only area rugs? These are the questions you must ponder over first. 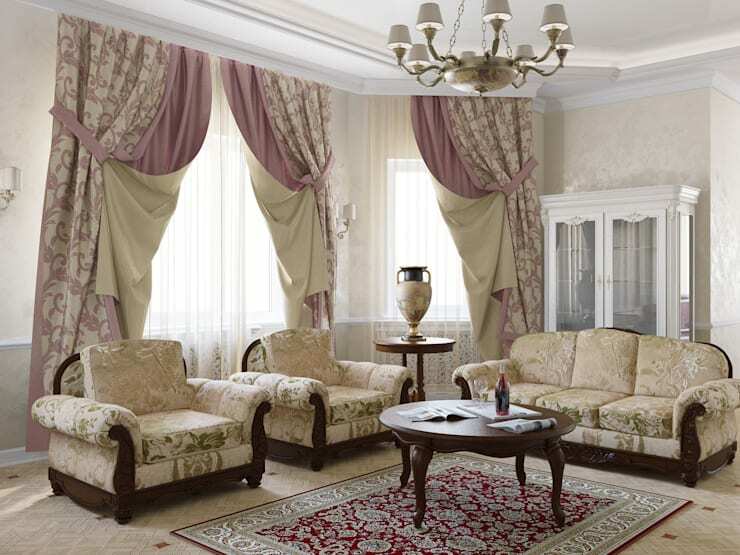 Everybody loves having most attractive looking rugs for the hallways, living room, formal dining area and bedrooms. Bathroom rugs must be anti slip in nature, quick drying and durable. So while you may think of having priceless silk or wool rugs in lounge area and bedroom, you may prefer buying cotton or chenille rugs for your bathroom. Like tapestries, smaller rugs are used to embellish the walls too. For this you will require highly detailed pieces. Commercial spaces like shops and offices have a different set of requirements altogether. You can consider having intricately designed hand woven rugs for your boutique shop, but using the same in an office with high footfall may not be such a good idea. Have a look around the space you are purchasing rugs for. Does it possess or about to possess a modern, classical or oriental décor? You can trust on a Tabriz, Isfahan or Hamadan area rug to give any space a gorgeous look. Traditional Azerbaijani, Turkish or Kashmiri silk rugs will be suitable as well provided you can allocate a budget for having any of these. 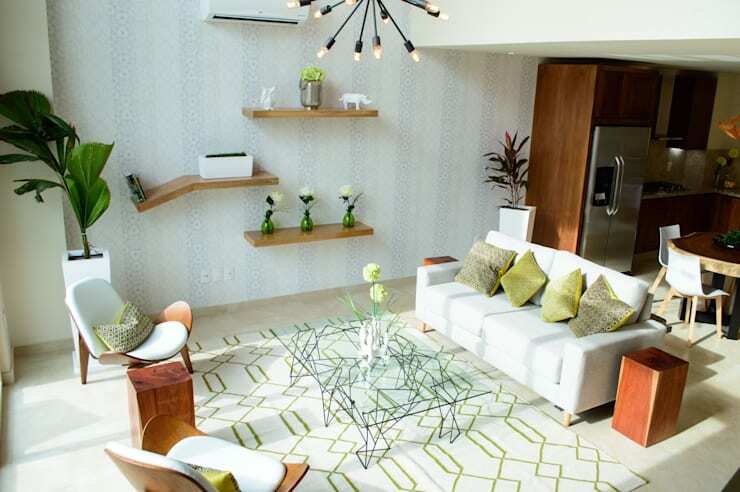 For a contemporary styled house why not consider having Peruvian rugs with geometric patterns instead? If the other elements of the room are mostly white or grey use your rugs to add a dash of colour. 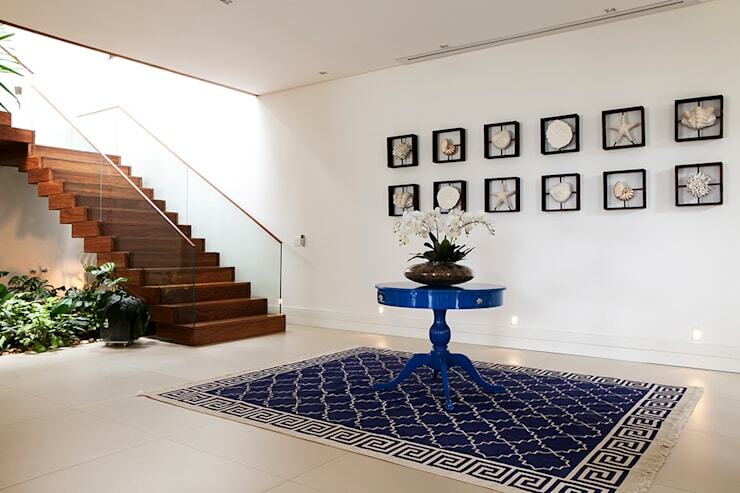 See how Infinity Spaces used a simple blue rug to transform the look of this hallway. Bold patterns and bright colours will also be suitable for a home with a rustic décor. Instead of blindly following an ongoing fad use your intuition to pick a rug that you think would be best suited for your home. Handcrafted silk rugs will always be prized possessions of any home. Woollen or a mix of wool and silk follow next. Antique silk and woollen rugs have now become investment options for many. Interestingly, hand woven rugs are considerably more durable than the machine spun ones and can last generations. But to afford these you will have to shell out hefty amount of money. However, there is always a choice of decorating one room at a time. If that too seems to be out of question, then you can consider cheaper and less durable options like tatami, dhurrie and so on. These too are capable of giving your room a chic makeover. You can consider using a beautiful thick throw as a rug in an area of your home that is less frequented, for instance in the dressing room or home office. Use thick blankets in yoga and meditation spaces instead of yoga mats. Synthetic rugs are getting popular by the day due to their affordability and ease of availability. Though classic silk and woollen rugs are much adored they are highly priced and beyond the reach of many. Synthetic rugs are cheap and easily available in a variety of colours, textures and patterns. But they are not so good for health, particularly so for the little one’s gentle skin. Fluffier rugs are not pet friendly. They also tend to accumulate dust, so in spite of its cosiness is not suitable for big polluted cities. Cheap handcrafted choir, bamboo or straw mats are not so durable. But they are capable of withstanding moisture and heat so good for balconies or outdoor spaces. Cotton rugs have good moisture absorption capability. Sisal, jute or sea grass mats are best suited for kitchen for they can be washed frequently without any hassle. The durability of a rug often depends on how much wear and tear it needs to withstand. A bedroom rug will maintain its looks much longer than the one on the hall floor. When woven by hand, silk and wool rugs last the longest. Rugs and kilms older by several hundred years can be seen preserved in the museums across the world. Rugs made of cotton, jute and other such like materials last substantially lesser amount of time. Depending on the quality and usage, rugs made of synthetic fibre can survive a little longer than that. Make sure your area rugs are not so close to the doorways so that everytime someone enters it is bruised by the opened door. Use particularly sturdy ones for those areas that experience greater footfall. Traditional rugs must be cleaned by professionals at least once in eight months. Let the woollen rugs warm up in direct sunlight from time to time. It will kill the chances of any pest build up. Vacuum cleaning the rugs help them to avoid the perils of dust build up. It is healthier for your home too, neglecting which may result in respiratory discomforts for its inhabitants. Most jute, straw and synthetic rugs can be washed at home. Have them thoroughly dried up before transferring them back to where they belong. 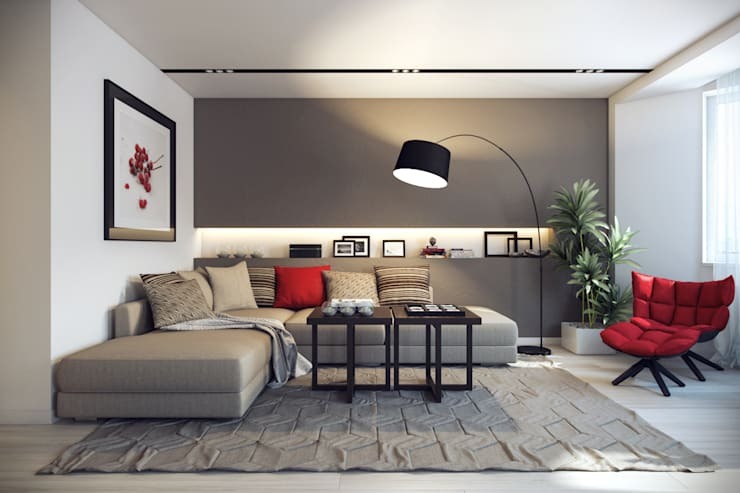 If you have wall to wall carpet in most of your rooms you may consider seeking professional help who can perform the necessary chores much faster and efficiently. Take these recurring costs in consideration before making any purchasing decision.